I cannot tell you how much its important to have healthy skin . Even if you are makeup addicted , only healthy skin is always the base for a flawless look. Hydrated and moisturized skin is they key for healthy skin . Drinking water properly cannot be matched with any other outer source of moisturization but its equally important to extract that moisture from daily moisturizers and Face sheet masks are no new in this category . 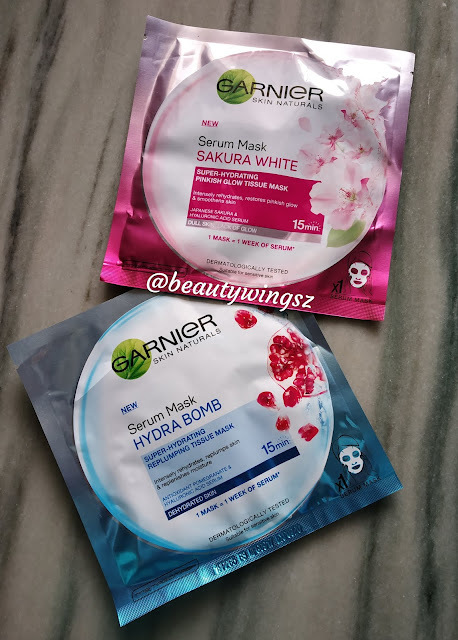 Out of these three i am going to review Hydra Bomb Serum Mask ,Sakura White Serum Mask today. A new generation of tissue mask that helps reduce dark spots. It intensely rehydrates the skin, giving you fresher, cleaner, and brighter skin. Besides this Hydra Bomb claims to be super Hydrating Re-plumping Tissue Mask which Intensly Re hydrates ,Re plumps skin and replenishes moisture. while Sakura Whites claims to super Hydrating Pinkish Glow Tissue mask which Intensly Re hydrates , Restores Pinkish Glow and smoothes skin. Both of these versions have a sharp soap kind of fragrance . The most important ingredient that caught my eye is hyaluronic acid which is very very good for resorting youthful skin and cannot find easily in most of the products in Indian market. 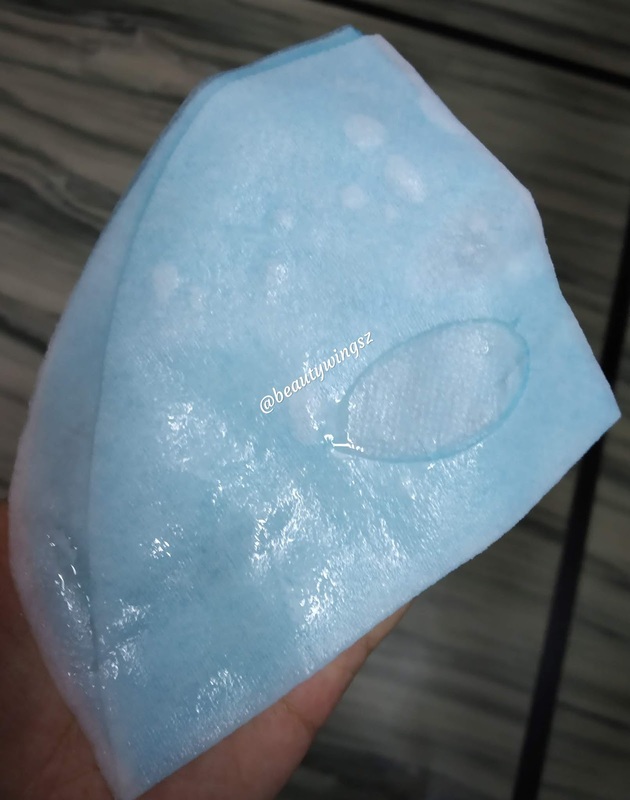 The packaging of these masks is quite luxurious to feel and not a thin sheet ,but at the same time you can easily tear the upper part to reach for the mask. These masks despite of Variant retails for Rs. 99 each. These masks are not like other sheet masks but comes with 2 films of sheet , one is white which is the actual tissue which contains all the serum and the other one is blue ,which is more of a poly tissue to keep the other tissue in place . 1. Unfold the mask and apply on clean face with blue protective film facing outwards. 2. Remove the protection film. Adjust the mak. 3. Keep it for 15 minutes. 4. Remove mask and gently pat in all excess serum. 1. First and most important thing is that it contains ,Hyaluronic acid . Hyaluronic acid is well known for its skin benefits, especially alleviating dry skin, reducing the appearance of fine lines and wrinkles and speeding up wound healing. 2. It covers the face very well and also have ear loops to wear on ,but i could not because it was very soft . 3. The instructions are very well placed on the backside which makes it easier to use this mask. 4. It contains a good amount of serum which makes you glow instantly after using it and you can use it on your arms and neck as well. 5. You can easily roam around in house wearing ,i wont fall. 6. Yes it provides the glow and hydrates your skin but i cannot comment on about reducing dark spot as it requires constant use of any product to show results . 1. 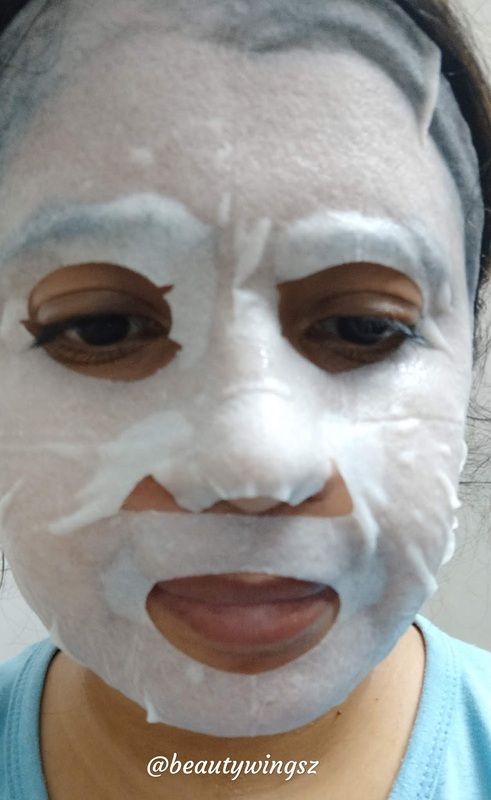 After removing it cast some stickiness on your face which is kind of good if you are going to wear any makeup after that because it will last longer on your skin.